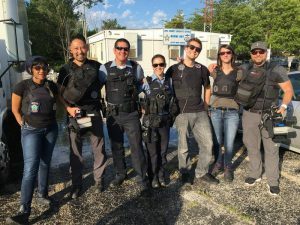 VidOvation today announced that Big Fish Entertainment, the creator, and production company behind groundbreaking A&E docuseries “Live PD,” is using VidOvation’s AVIWEST DMNG PRO180 bonded cellular systems the multicamera, multilocation production for reliable, synchronous, and low-latency transmission of broadcast-quality video and audio. Each “Live PD” episode offers viewers a live, unfiltered look inside some of America’s busiest police departments and the communities they patrol. One of the biggest production hurdles was capturing high-quality live HD video from multiple cameras and streaming it to air in real time while maintaining genlock and lip-sync across multiple cameras. 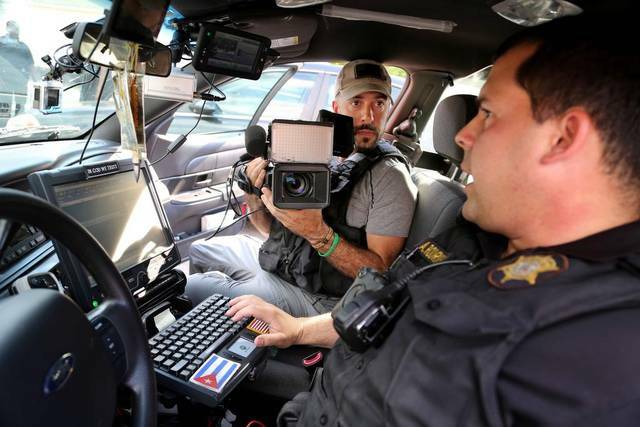 On a live production like Live PD, there is no time to fix camera sync and lip sync issues. All cameras needed to be in perfect gen-lock with each other. 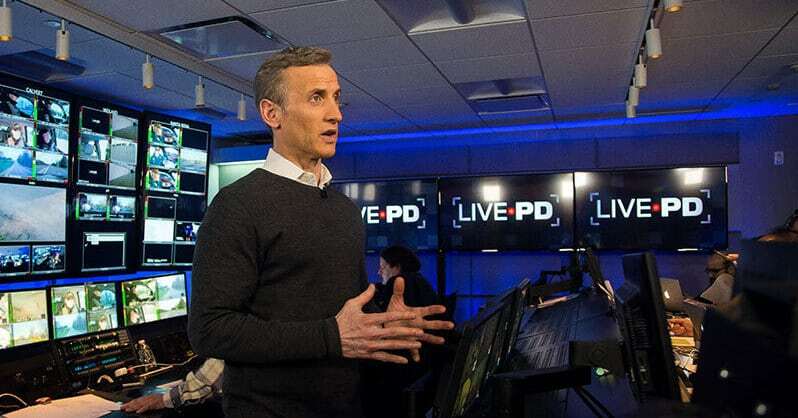 On a typical Friday night, “Live PD” covers officers on patrol in six cities, with as many as 40 live videos feeds coming into a New York-based control room at A&E headquarters. With such a large quantity of feeds, traditional satellite or microwave links would not only be cost-prohibitive but would not provide the necessary mobility and flexibility. The solution was bonded cellular technology, which bonds any available combination of network interfaces including local cellular and Wi-Fi networks, Ethernet, and satellite for high-quality and reliable video transmission links. One of the biggest production hurdles was capturing high-quality live HD video from multiple cameras and streaming it to air in real time while maintaining genlock and lip-sync across multiple cameras. On a live production like Live PD, there is no time to fix camera sync and lip sync issues. All cameras needed to be in perfect gen-lock with each other. 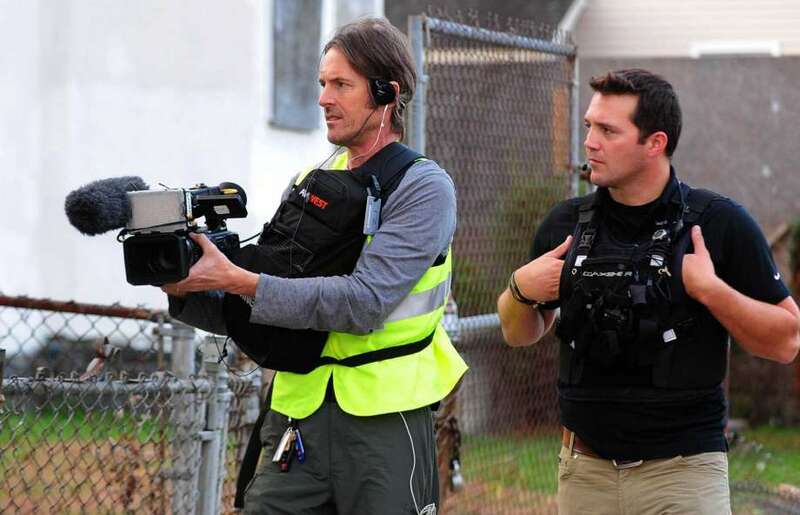 The “Live PD” crew uses 41 AVIWEST DMNG PRO180-RA bonded cellular transmitters, including one for each of two HD cameras in every patrol car and two additional camera operators as well as an overhead drone to cover the action outside the vehicle. Additionally, the team has installed four AVIWEST QUAD external antenna units to each patrol car for even faster network acquisition and greater signal resilience. Throughout the three-hour show, the DMNG PROs feed up to four video channels and eight audio channels of live, high-quality video back to the control room in New York from every patrol car in all six cities. In the control room, an AVIWEST DMNG StreamHub receiver, decoder, and distribution platform receives the live video feeds and delivers them to air for the live broadcast. There has been some recent chatter that the Live PD show on A&E may not be real. The reason is that the video quality is just too good to be live. VidOvation and AVIWEST were selected by the production company Big Fish Productions and A&E because it was the only wireless technology that worked. All the other providers were tried and tested. Big Fish needs four bonded cellular links to stream four cameras in perfect synchronization with each other. There are two cameras inside the police vehicle and two cameramen in the back seat. All four cameras need to arrive at A&E master control in perfect lip-sync and video synchronization with each other. The competition would have one camera arrive 500 milli-seconds to late and another camera 500 milliseconds too early. In short AVIWEST and VidOvation provided the only solution that worked. In a live four camera production, perfect synchronization is a necessity. There is no time to sync the four cameras when broadcasting live. See the video below showing a typical police vehicle setup. Don’t take our word for it, just watch Live PD Friday and Saturday nights at 9 PM on A&E. Learn more about Live Video Transmission via Bonded Cellular.